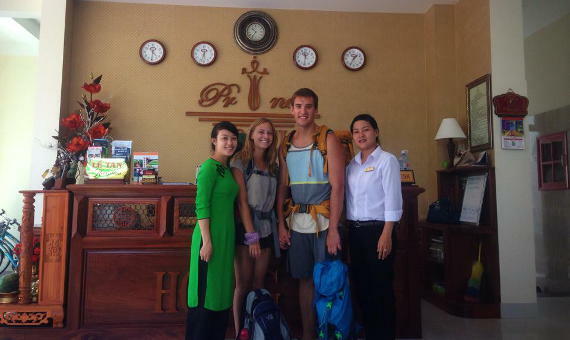 The Hoi An Prince Hotel is distant Hoi An center 1 km. Tourists of hotel are provided free access to the outdoor swimming pool and free bike, especially they can also access free wifi in all of hotel’s areas. All of elegant rooms with classic style of prince hotel are equipped flat-screen cable television, air conditioning and mini bar. What is more, the private bathrooms come with walk-in open showers, free personal toiletries and towels. Tourists are also supported free bottles of water every day for each room. At Prince Hotel, it is very easy for tourists to find out 24 hour front desk and garden. 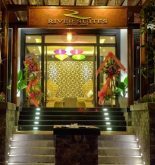 Hotel also has other facilities such as ticket service, tour desk and luggage storage even tourists can rent car or request the meeting and seeing off tourist service at hotel or airport there. 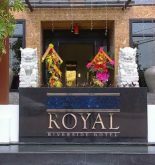 Restaurant of hotel specializes in Vietnamese and international cuisine. At the city center, there are also some cuisine choices. It is distant the nearest grocery shop 500 meters and the public An Bang beach 2 km. The distance of hotel and Hoai river is 1.3 km. 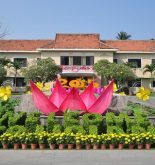 Address: 201-203 Ly Thai To St, Hoi An, Quang Nam, Vietnam. This information has been supplied by Hoi An Prince Hotel.